Labuan FSA is governed by a board known as the Authority, whose members are appointed by the Minister of Finance for a term not exceeding three years, after which they are eligible for reappointment. The current members comprise business leaders from the private sector as well as representatives from the government and statutory bodies. The roles and responsibilities of the Authority include setting the direction and policies relating to the conduct of business activities in Labuan IBFC. The day-to-day administration of Labuan FSA is entrusted to the Director-General. Datuk Oh Chong Peng is appointed as the Chairman of Labuan FSA effective from 16 October 2018 until 15 February 2020. Datuk Oh has wide experience in financial and other business sectors. He is currently the Non-Executive Director of British American Tobacco (Malaysia) Berhad, Malayan Flour Mills Berhad, Dialog Group Berhad, Kumpulan Europlus Berhad, PUC Berhad and a trustee of UTAR Education Foundation. 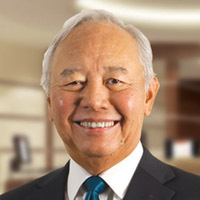 Datuk Oh was Chairman of the Alliance Financial Group until his retirement from the Board in 2017. He was also a partner of Coopers & Lybrand Malaysia and government-appointed member of the Kuala Lumpur Stock Exchange (now known as Bursa Malaysia) as well as the Malaysian Accounting Standards Board. 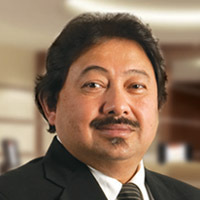 Datuk Oh is a Fellow of the Institute of Chartered Accountants, England and Wales and served as President of the Malaysian Institute of Certified Public Accountants from 1994-1996. 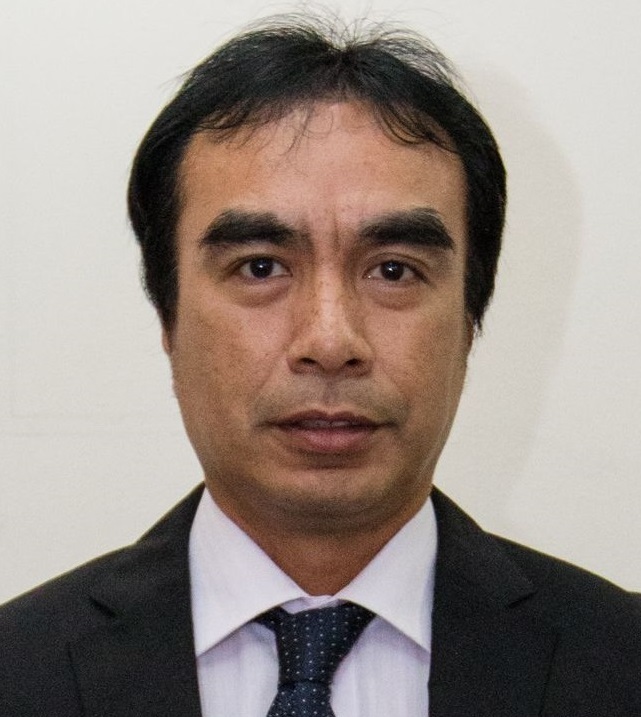 Mr. Danial Mah is the Director General of Labuan FSA, the regulatory authority of Labuan International Business and Financial Centre. Mr. Danial assumed the position of Director General on 3 October 2017. 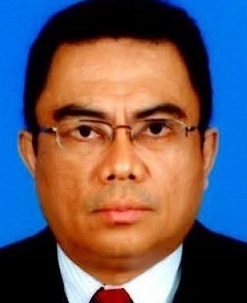 Prior to this, he was the Deputy Director General of Labuan FSA, a position he held since 2007. He has been with Labuan FSA since the early years of its establishment and held various positions within the organisation. Mr. Danial is a Board member of International Islamic Financial Market (IIFM) and member of its Executive Committee. He is the Chairman of the Financial Stability Committee of Labuan FSA, Labuanfsa Incorporated Sdn Bhd and Pristine Era Sdn Bhd. Mr. Danial is also a Board member of Labuan Corporation, Financial Park (Labuan) Sdn Bhd and Labuan IBFC Incorporated Sdn Bhd. Mr. Danial has a Bachelor of Accounting (Hons) from the University of Malaya, Malaysia; and a Masters in Business Administration from the Manchester Business School, UK. He is a Chartered Accountant registered with the Malaysian Institute of Accountants. Datuk Ali Abdul Kadir is the Chairman of Jobstreet Corporation Berhad and the Financial Reporting Foundation. He is currently serves as a Board Member of Glomac Berhad and Labuan FSA, and member of the Companies Commission of Malaysia’s Academic Advisory Panel. 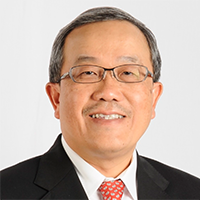 Previously, he was the Chairman of Milux Corporation Berhad and Microlink Solutions Berhad; and Director of Labuan IBFC Inc Sdn Bhd, Development & Commercial Bank Bhd (now RHB Bank), Tokio Marine & Fire Insurance Bhd and Takaful Malaysia Bhd. Datuk Ali was appointed as the Chairman of the Securities Commission of Malaysia in 1999 and served in that capacity until 2004. He was a member of a number of national committees, including the National Economic Consultative Council, the Foreign Investment Committee, the Oversight Committee of National Asset Management Company (Danaharta) and the Finance Committee on Corporate Governance. On the international front, he was an Executive Committee Member for International Organisation of Securities Commissions (IOSCO); Chairman of IOSCO Asia-Pacific Region Committee and the Islamic Capital Market Working Group; trustee of the Accounting and Auditing Organisation for Islamic Financial Institutions (AAOIFI) and Force of Nature Aid Foundation; and also Advisor to the Sri Lanka Securities and Exchange Commission. 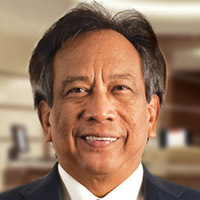 Prior to his appointment at the Securities Commission, Datuk Ali was the Executive Chairman and Partner of Ernst & Young and its related firms. He was also the former President of the Malaysian Institute of Certified Public Accountants. He was Adjunct Professor in the University of Malaya’s Accounting and Business Faculty (2008 till 2011) and later appointed to the Advisory Board of the same Faculty. Datuk Ali is a Fellow of the Institute of Chartered Accountants in England & Wales (ICAEW), and member of the Malaysian Institute of Certified Public Accountants and the Malaysian Institute of Accountants. He is also currently Honorary Adviser to ICAEW’s KL City Chapter, and Honorary Fellow of the Institute of Chartered Secretaries & Administrators (UK) and the Malaysian Institute of Directors. In 2012, Datuk Ali was bestowed the Lifetime Achievement Award by ICAEW’s KL City Chapter, and KL City Chapter, and the President’s Award by the Malaysian Institute of Certified Public Accountants. Dato’ Zahrah Abd Wahab Fenner is the Chief Executive Officer (CEO) of the Companies Commission of Malaysia (SSM). Prior to her appointment as CEO on 1 January 2015, she was the Deputy Chief Executive Officer (Services) (DCEO Services), a post she held since the establishment of SSM in 2002. While serving as the DCEO (Services), her portfolio comprised of the Corporate Development and Policy Division, the Corporate Resource Division, the Information Communication & Technology, the Compliance Division, the SSM Training Academy (COMTRAC) and the Corporate Communications Section. Dato’ Zahrah was appointed as a board member for the Certification of Certified Integrity Officers and is also a member of the Financial Reporting Foundation. She was the chairperson of the SSM Cooperative between 2011 and 2014. In 2016, Dato’ Zahrah was elected as an Executive Committee member of the Corporate Registers Forum which is an association of international corporate registries. Dato’ Zahrah was appointed as Adjunct Professor, Department of Marketing and Entrepreneur Development, College of Business Management & Accounting, Universiti Tenaga Nasional from 5 November 2017 until 4 November 2018. 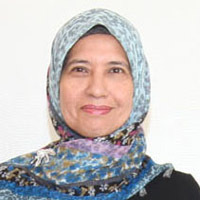 Dato’ Zahrah began her career as an Advisor Accountant with the Royal Malaysian Customs and Excise Department and served the department from 1984 to 1992 where she advised on matters relating to the valuation and standard international practices of the open market. Dato’ Zahrah was attached to the Ministry of Foreign Affairs as the Principal Accountant from 1992 to 1995 and was responsible for the financial accounts and auditing of the Malaysian Embassies and High Commissions worldwide. Subsequent to that, she joined the Registrar of Companies in 1995 and served as the Chief Accountant until her appointment as DCEO (Services) in 2002. Dato’ Zahrah who graduated with a Bachelor of Accounting (Hons.) degree from Universiti Kebangsaan Malaysia, is a member of the Malaysian Institute of Accountants and a Chartered Accountant. She is also a member of the Approval and Implementation Committee of the Iskandar Regional Development Authority (IRDA). Mr. Adnan Zaylani is the Assistant Governor of Bank Negara Malaysia who is responsible for development of the financial insurance sectors, development finance, Islamic finance and oversees the Legal department and previously had held responsibilities and oversight over financial markets, investment, foreign exchange administration and currency management. Economics by training with years of financial market practitioner experience and contributions in various policy and development initiatives. He is a member of the Management Committee, Strategic Management Committee and Reserve Management Committee of Bank Negara Malaysia. Mr. Adnan has a Bachelor in Economics, MSc in Global Market Economics from London School of Economics, UK, and a holds Master Degree in Public Policy from Blavatnik School of Government, University of Oxford, UK. 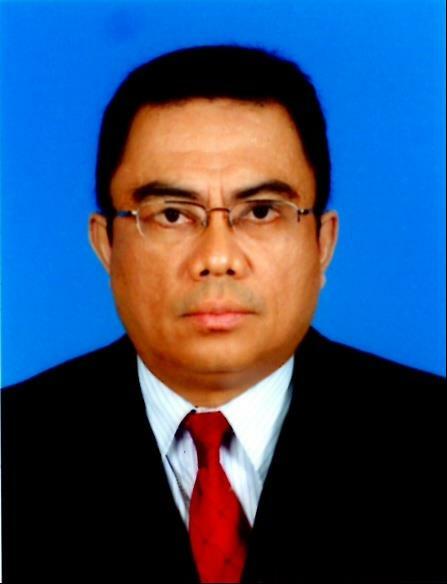 Mr. Hazim is Secretary of the Remuneration Policy and Management Division, Ministry of Finance, Malaysia (MOF). He is responsible for the management of remuneration policy and management services which include human capital development and financial management of the MOF. He also manages the development projects of MOF. In a career with the Government that began in 1989, Mr. Hazim held senior positions in various ministries and division including Ministry of Health, Ministry of Human Resource and MOF. In MOF, he has an extensive year of experience in the Tax Analysis Division and Strategic Investment Department. Mr. Hazim has a Bachelor in Financial Management from Indiana State University, USA and holds a Master Degree in Business Administration from City University, USA.